1745-B1 for Allen Bradley controllers. 1745-B1 for Allen Bradley ControlLogix controllers. Replaces: Battery 1745-B1 for an ALLEN BRADLEY PLC controllers. This 1745-B1 Lithium PLC controller battery fits several ALLEN BRADLEY PLC controllers. It is a DIRECT replacement for the 1745-B1 and and A-40840-512-01 battery. ALLEN BRADLEY SLC-100 and SLC-150 series. 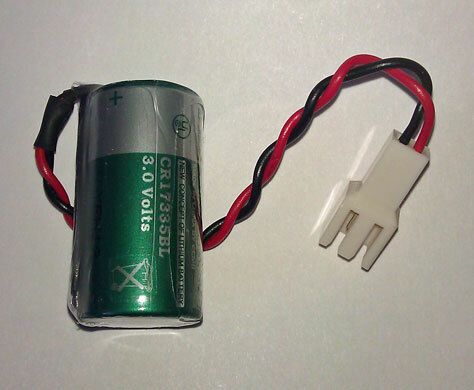 Replacement for the 1745-B1, COMP-295 and B9631T Lithium 3.0V battery. This Mitsubishi 1745-B1 PLC battery comes with a one year manufacturer's warranty.